On the day we finally won a Premier League penalty, I didn’t think I’d still be complaining at not getting them, but that is more the case than ever after our 1-1 draw against Southampton yesterday. Of all the current Premier League referees, Anthon Taylor was the last to award us a spot kick. That was exactly 23 months ago at Swansea when he incorrectly thought a Swansea defender had handled the ball. We did get one in the following month, a clear cut one at Everton, which was given by the now departed Mark Clattenburg. And so the wait for another went on, and finally, right at the end of stoppage time, Taylor saw what everyone else inside Turf Moor saw, a clear handball by Saints’ defender Jack Stephens. Ashley Barnes stepped up to equalise and win us that precious point but that should not have been our first penalty of the afternoon. I would hope Taylor and his hapless assistant Adam Nunn, get a PGMOL suspension from the Premier League after probably the worst non-penalty decision of the lot during this barren period. The worst two previously were when Joe Hart, then with West Ham, hauled down Chris Wood, and then, of course, there was the ridiculous non-award at Huddersfield just over a year ago when their goalkeeper Jonas Lössl brought down Jeff Hendrick. There have been others, but, prior to yesterday, I thought they were the two most obvious. Then, in the 33rd minute, with the score still at 0-0, Phil Bardsley played an excellent ball for Barnes to run on to. With Southampton goalkeeper Alex McCarthy racing out, Barnes nicked the ball past him only for McCarthy to take him out. Taylor blew, Taylor pointed and then, incredibly, he booked Barnes for simulation. Nunn, with the perfect view, decided he wasn’t going to get involved and scurried off towards the corner flag. Barnes went ballistic and, in truth, having already received one yellow card might very easily have been sent off. “Terrible decision,” said former Southampton striker Alan Shearer on Match of the Day. He too questioned the lack of action from Nunn but the referee is the one who got the decision very badly wrong. Davie Provan on Sky thought it was the correct decision but Chris Kamara blasted referee Anthony Taylor this morning and said he should be on the phone apologising to Barnes. That will remain the talking point for some time on what was probably the coldest day we’ve had for a home game this season. It was very much one for the thermals and I did smile yesterday morning when news of some postponements came through from Leagues One and Two. It’s not that many years since we were usually the first to go when there was a bit of frost or, worse still, a few minutes of heavy rain. Crouch, as expected, was on the bench in place of Sam Vokes while Robbie Brady was also back, replacing under-23 midfielder Josh Benson who had been a substitute at Manchester United. The starting eleven was unchanged as expected. Southampton had failed to ship out former Claret Charlie Austin but it was a surprise to see him recalled to the bench while they included Danny Ings in their starting line up, our former striker getting his first opportunity to play at the Turf since leaving us in 2015. Ings was close to making an early impact too. Southampton started the brighter and he got his chance when running onto the ball. He did look a certain scorer but Tom Heaton, one of only three of his former team mates in the Burnley team, denied him with a good save. It was at this point that referee Taylor took centre stage for the first time. As the ball rebounded from Heaton, Charlie Taylor was brought down by Callum Slattery. Quite how on earth he didn’t deem that a yellow card only he will know, but it was the first of a series of weird, wonderful and not so good decisions from him. As for Ings, his game lasted less than half an hour before he was forced off with an injury. It was good to see, as he walked round the touchline, the warm reception he received from the Burnley supporters. It did take us some time to get ourselves into the game but when we did we certainly caused them a threat. Barnes saw a header saved, Chris Wood might have been better laying the ball off when he created his own space to the left of goal. He opted to shoot but it wasn’t close. And then came the penalty incident. Once he’d not given it, he wasn’t going to change his mind, but my concern was for Barnes. He needed calming down and even now I have to say he might be counting himself fortunate not to have received a yellow for his protestations which would have seen him sent off. So, goalless at half time, but we’d become the better side and we just surely needed a continuation of that in the second half to ensure we got a good result from this game. Unfortunately, Southampton came out the better after the interval. Twice they went close and Phil Bardsley cleared off the line. Then, just ten minutes in, they went in front through Nathan Redmond. It was a good strike from outside the box but we shouldn’t have given him a chance. Although at times too frantic, we virtually dominated the rest of the game. We started to put them under some real pressure but they survived it, albeit with a few scares. We made three changes from the bench, the second of them seeing the introduction of Crouch, and he certainly proved effective when balls came in from the flanks. He set up Barnes for a shot which McCarthy saved well, and Barnes came even closer soon after. A cross from Taylor was headed on by Jόhann Berg Guðmundsson and Barnes hit a first time shot onto the bar. The board went up for four extra minutes but I thought our chance was gone. Then Taylor and Ashley Westwood linked up on the left with the latter playing the ball into the box. Southampton’s Jack Stephens, under pressure from Crouch, for some reason opted to wave his arm in the air. It made contact with the ball and we were finally awarded a penalty. Embed from Getty ImagesOur last penalty in the Premier League was scored by Vokes at Everton in April 2017. And on the day he made his debut for Stoke and failed to score from the spot, Barnes stepped up and made no mistake to give us a very well earned and deserved point. There was no time for anything else. Taylor blew his whistle for the final time. Dyche applauded the fans who just sung: “We got a penalty,” presumably in sheer disbelief. But, and despite the nonsense from Provan, we should have had two. At the recent FA Cup tie against Barnsley we saw the pure farce of the way VAR is being used by our referees. But, had it been in place for the last three Premier League games, our late goal at Watford would have stood, Manchester United’s equaliser would have been ruled out and surely that first half penalty would have been given in this game. It’s certainly food for thought, even though I’m still far from convinced it’s the way forward. We might have wanted a win yesterday, but having been behind for much of the second half, a draw seemed like a good result at the final whistle while Southampton and Ralph Hasenhüttl admitted it felt, for them, like a defeat. 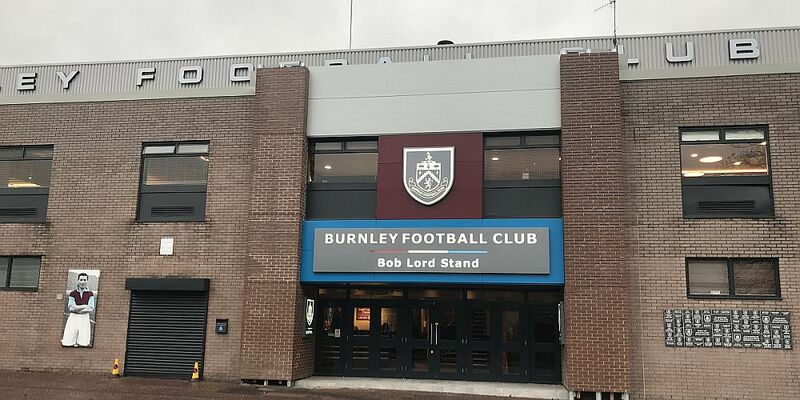 Burnley: Tom Heaton, Phil Bardsley, James Tarkowski, Ben Mee, Charlie Taylor, Jeff Hendrick (Jόhann Berg Guðmundsson 58), Ashley Westwood, Jack Cork, Dwight McNeil (Robbie Brady 81), Ashley Barnes, Chris Wood (Peter Crouch 78). Subs not used: Joe Hart, Ben Gibson, Stephen Ward, Matěj Vydra. Yellow Cards: Ashley Barnes, Phil Bardsley, Ben Mee. Southampton: Alex McCarthy, Jan Bednarek, Jack Stephens, Jannik Vestergaard, James Ward-Prowse, Callum Slattery, Oriol Romeu, Stuart Armstrong (Yan Valery 77), Matt Targett, Nathan Redmond (Charlie Austin 87), Danny Ings (Shane Long 27). Subs not used: Angus Gunn, Mohamed Elyounoussi, Alfie Jones, Josh Sims.